RFL stands for Real-F’in-Light. They are woven thin-to-win, perfect for those performance race fits. 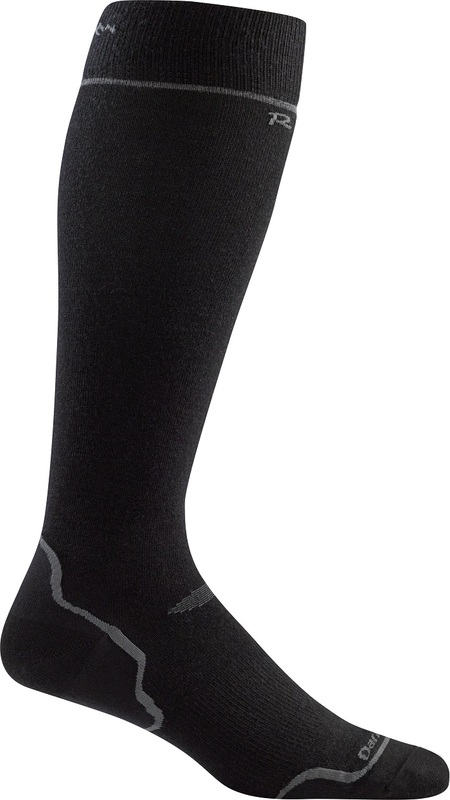 The socks are part of Darn Tough’s Vertical series, which is designed for up and downhill skiing. 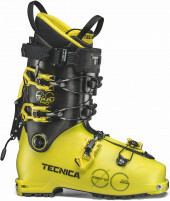 The RFLs offer a superior fit within a ski boot liner and are breathable for long uphill slogs. They are also antimicrobial so you can use them for many days without noticeable odor due to bacteria build-up. And of course, they feature Darn Tough’s legendary toughness and lifetime guarantee. 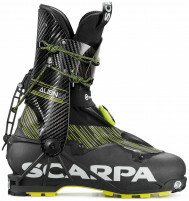 I don’t think we need to mention they are ultralight, since the name explains that rather forcefully. Snug ergonomic fit is designed for all day comfort. Reinforced heel and toe areas support more mileage. Good combination of warmth and breathability. Antimicrobial properties help prevent odor build-up. Lifetime guarantee, send ‘em back if they fray. Made with Merino wool in Vermont, USA. Update 2018/19: The beloved RFL sock received a few updates beyond the obvious cosmetic facelift of the new Black / Green colorway. The instep panel has been tightened for better heel retention and the forefoot has been loosened just a touch to reduce toe fatigue and allow a more relaxed toe splay. Bottom line is that we didn’t think they could get more comfortable, but they did.